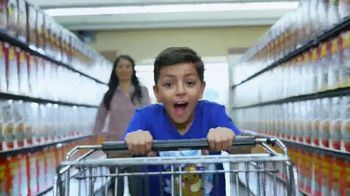 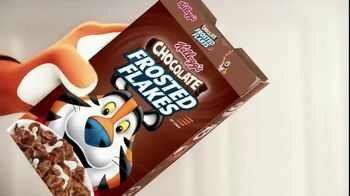 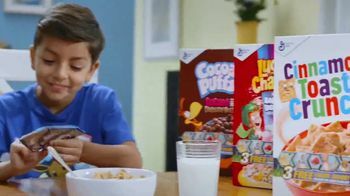 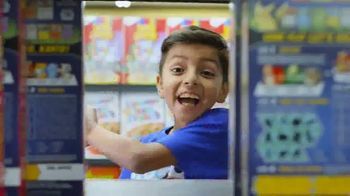 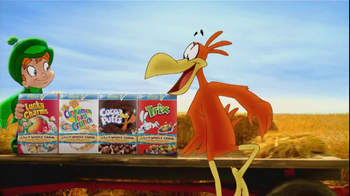 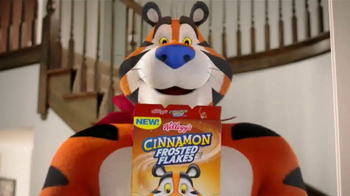 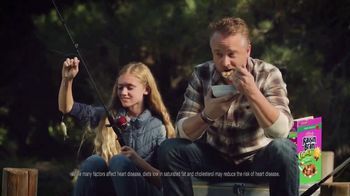 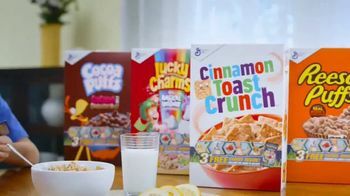 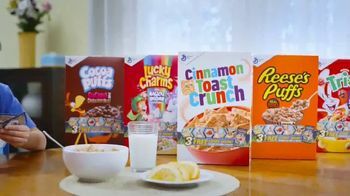 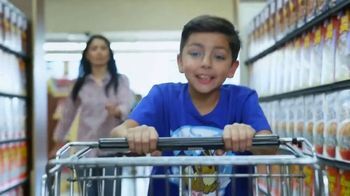 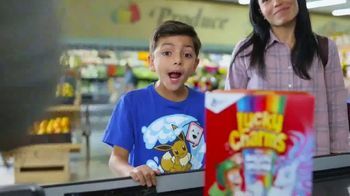 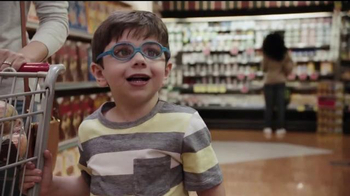 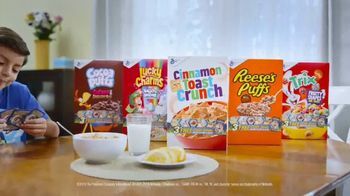 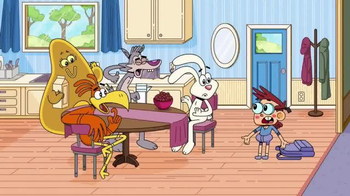 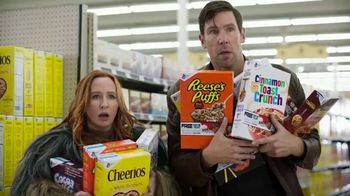 A child cannot contain his excitement as he screams down a grocery store aisle shoveling in a various brands of General Mills' cereal like Cocoa Puffs, Lucky Charms, Cinnamon Toast Crunch and Tricks into his cart. 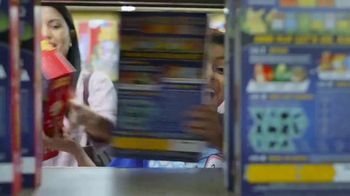 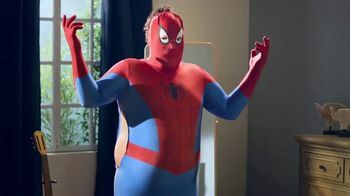 He celebrates as he stares at the Pokemon trading cards he found in the boxes. 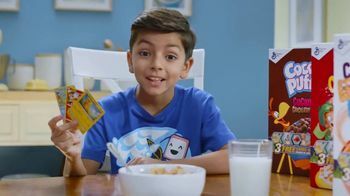 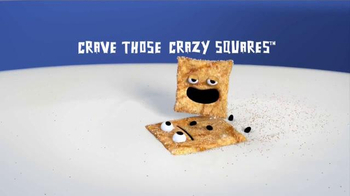 For limited time, select boxes of cereal will have Pokemon collectible trading cards.